SKIN TYPE: DRY AND MATURE SKIN FRAGILE AND SENSITIVE SKIN ALL SKIN TYPES IDEAL FOR: HELPING TO REDUCE THE APPEARANCE OF FINE LINES AND WRINKLES HELPING TO FIGHT THE VISIBLE SIGNS OF AGEING INCREASING SKIN SUPPLENESS AND ELASTICITY A MORE YOUTHFULLY RADIANT SKIN HYDRATING SKIN ACTIVE INGREDIENTS: CERTIFIED ORGANIC POMEGRANATE EXTRACT (CO2), CERTIFIED ORGANIC SEABUCKTHORN EXTRACT (CO2), CERTIFIED ORGANIC ROSEHIP EXTRACT (CO2), CERTIFIED ORGANIC AMARANTH EXTRACT (CO2), CERTIFIED ORGANIC CHAMOMILE EXTRACT (CO2), CERTIFIED ORGANIC CALENDULA EXTRACT (CO2), ECHIUM OIL, VITAMIN E, VITAMIN A Increase your skin's suppleness and elasticity with the help of [A'kin] Revitalising Cellular Radiance Serum. 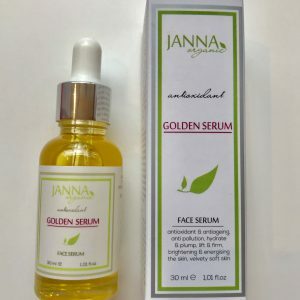 Enriched with a combination of pure, nourishing ingredients like organic Rosehip and Echium oils, Pomegranate, and Seabuckthorn, this natural face serum helps fight the signs of ageing and leaves your skin looking more radiant. In a recent ex-vivo study, the potent formula proved to be equally effective as synthetic Retinol in improving skin firmness, elasticity & radiance. In another laboratory study on 32 women aged 50+, the serum was proven to improve skin texture by 84%, skin radiance by 69% and reduce wrinkles by 22% in over a period of three months. 91% of women saw visible improvement in moisture levels and experienced smoother and firmer skin. 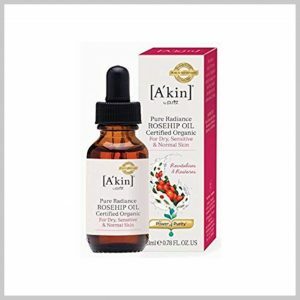 [A'kin] Revitalising Cellular Radiance Serum has a powerful combination of 6 pure and rich certified organic anti-ageing extracts, used at levels to benefit the skin. To bring you a pure, natural face serum, our ingredients are extracted by the supercritical CO2 method. This process uses extremely low temperatures allowing the optimum benefits from the fragile plant ingredients to be maintained. [A'kin] Revitalising Cellular Radiance Serum is a boost to your natural skincare routine for more radiantly youthful looking skin. 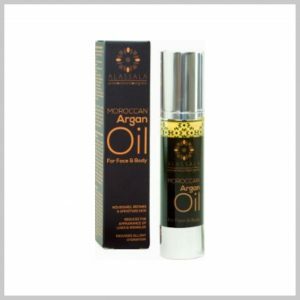 Organic Moroccan Argan Oil is 100% pure Argan oil cold pressed from a finest selected kernel nuts. Rich in Vitamin E Omega 6 and 9. Perfect for all types of skin. Alassala Organic Moroccan Argan Oil is at the forefront of natural organic skin care due to its natural complex mixture of compounds including fatty acids, polyphenoles, antioxidants, carotenoids and high level of Vitamin E: • Intensively hydrates dry skin • Reduce the appearance of lines, wrinkles and pores • Noticeably smooth skin texture • Reduces skin irritation • Diminish the appearance of blotches and age spots • Helps reduce the appearance of scars and pregnancy stretch marks • Relieve and soothe: eczema and Psoriasis • Strengthens nails It is also free from fragrance and any kind of synthetics. 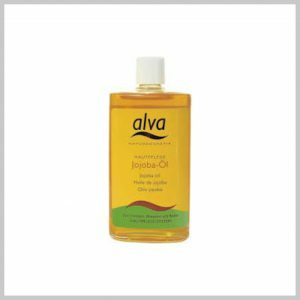 Cold-pressed certified organic jojoba oil for moisturising dry skin, massaging, bathing or using on baby. Our best selling skin oil for face & body. 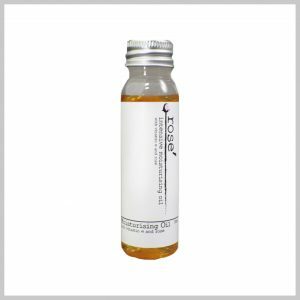 This anti-aging skin oil also helps diminish the appearance of scars, stretch marks, burns, skin blemishes and uneven skin tone. The perfect skin oil for aftersun care-dermatological tests show that using Sanddorn Skin Oil reduces skin redness within 24 hours in 66% of people tested. 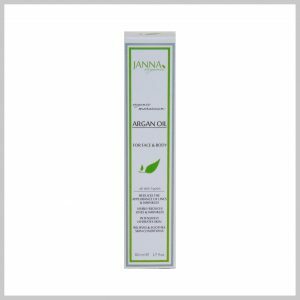 Organic sea buckthorn oil, jojoba oil and almond oil with vitamin E.
Janna Organic Argan oil is 100% pure, organic and cold pressed argan oil with nothing added or taken away. Rich in anti ageing Vitamin E, Omega 6 & 9 and free from parabens, preservatives, fragrances, additives and colourants. It reduces the appearance of pores, noticeably smoothes skin texture, reduces skin irritation, diminishes the appearance of blotches and age spots, removes scars and pregnancy stretch marks and relieves and soothes eczema and psoriasis. Used externally for all skin types. 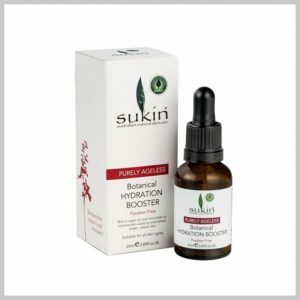 Sukin Botanical Hydration Booster is a natural anti-aging face oilrich in argan oil known well within the natural beauty industry for combating dehydration and revitalising damaged skin cells. As a 100% elixir Sukin’s Purely Ageless anti-aging face oil helps to boost skin renewal and improve skin elasticity. This anti-aging face oil is especially formulated to deliver a bright, radiant glow and help fight the signs of ageing. Argan oil is packed with essential fatty acids that work gently with the skin to help hydrate and repair. It is also a great natural collagen and elastin booster which assists with firming the skin to make it look more youthful in appearance. Sukin Botanical Hydration Booster also contains Immortelle, a therapeutic natural anti-inflammatory, which helps to promote new cell growth, making this anti-aging face oil a perfect nourishing treat for the mature skin. Can be used as a quick replenishing moisture burst throughout the day when your skin is feeling in need of a little extra boost or has been exposed to dry air environments, such as air-conditioned offices or flights. 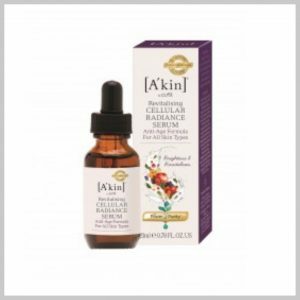 Makes a great moisture packed duo with Sukin Intensive Firming Serum.Working with nature to produce a high performing natural skin care range, Sukin, have fast become internationally recognised for affordable products that are kind to the skin and the environment. Sukin offer a comprehensive range of natural skin care including thePurely Ageless and Sensitive Skin range. 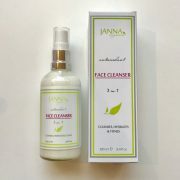 Directions for use : Apply after cleansing and follow with your favourite moisturiser. Re-apply when skin craves a moisture burst.